Last week, the University of Texas at Austin announced that it will prohibit employees and students from renting Airbnb properties when using university funding, claiming adherence to the state’s anti-boycott law. Texas is one of 27 U.S. states that have enacted anti-boycott legislation aimed at inhibiting advocacy for Palestinian rights. The Texas law prohibits state funds from being invested in companies that the state determines are engaging in boycotts of Israel. In March, Texas added Airbnb to its blacklist of prohibited companies, despite Airbnb stating it does not support a boycott of Israel. After UT-Austin announced that it would no longer reimburse employees and students for Airbnb rentals, the Texas state comptroller’s office indicated that other state agencies could still allow employees to use Airbnb, suggesting that the university’s action exceeded the requirements of the Texas law. Last Friday, a federal court in Texas heard oral arguments in a challenge to another provision of the Texas law, which requires state contractors to sign an oath that they will not boycott Israel. Bahia Amawi, a Palestinian-American speech pathologist who worked with Arabic-speaking children in Texas public schools, was unable to renew her contract with the state after refusing to sign the oath. The Council on American-Islamic Relations (CAIR) sued the state on her behalf. The ACLU made arguments in a separate lawsuit on behalf of four other Texans challenging the law that same day. Texas is likely to revise its law so only contracts over $100,000 with companies with more than 10 employees would require anti-boycott oaths. This would make legal challenges to the anti-boycott laws like Bahia Amawi’s moot. The legislation would, however, remain unconstitutional. As demonstrated both by the lawsuits and the concerns of members of the UT-Austin community, anti-boycott laws are harming regular people by making it difficult to pursue employment and educational opportunities. While Airbnb defends itself against blacklists and claims by Israeli-American settlers, the underlying violations of Palestinian rights that have precipitated the call to boycott must not be forgotten. A recent lawsuit filed by the Center for Constitutional Rights (CCR) puts these violations front and center. Palestinian-Americans and two Palestinian municipalities have brought their own claims against the settlers occupying their land in a first of its kind challenge in US court. 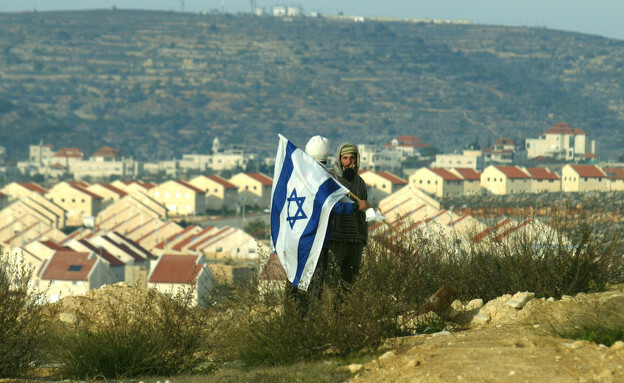 The CCR suit is an effort to push back against the settlers' cynical claims of discrimination and highlight the structural and everyday discrimination faced by Palestinian landowners. Israeli settlers claim Airbnb is discriminating against them, but CCR’s Palestinian clients are individuals and villages who are the rightful owners of the land where settlers want to list Airbnb rentals. This makes clear that the actual violations and discrimination are in Israel’s expropriation of Palestinian land and its systematic denial of Palestinians’ access to their own property. While Airbnb plays a problematic role in furthering gentrification and housing affordability crises around the world, the company took a step in the right direction by acknowledging that the rental of Israeli settlement properties enables Israel’s international law violations against Palestinians. Decisions like Airbnb’s to respect Palestinians’ rights under international law should be applauded, not punished. What does it say that states like Texas and Florida are punishing companies that make sound ethical decisions to respect international law? Nevertheless, it remains an uphill battle to convince lawmakers that punishing those who engage in boycotts for Palestinian rights poses a threat to all of our collective rights to use boycotts as a tool to effect social change. View more about these challenges at righttoboycott.org.